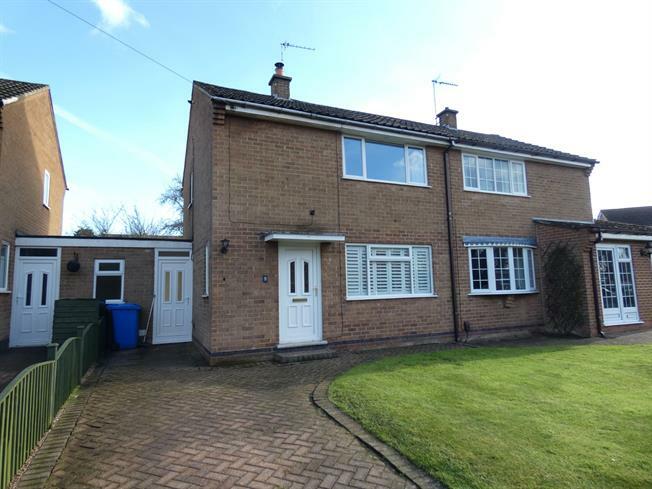 2 Bedroom Semi Detached House For Sale in Derby for Asking Price £174,950. Immaculately presented link semi detached house offering two double bedrooms, lounge with wood burner open plan to the kitchen diner, utility room, cloakroom, first floor shower room, block paved driveway and enclosed rear garden, located in a cul de sac, being sold with no upward chain. The property benefits from gas central heating and double glazing. To the ground floor there is a entrance hall, lounge with wood burner fire, modern kitchen diner with patio doors to the garden, lobby, utility and cloakroom. To the first floor there is two bedrooms, both with built-in wardrobes and a a shower room with a modern three piece suite in white. There is a garden and block paved driveway to the front and enclosed garden to the rear. Viewing is essential. UPVC double glazed door from the driveway. Double glazed uPVC window facing the side. Radiator, stairs to the first floor, door to the lounge. Double glazed uPVC window with shutters facing the front. Wood burner fire with a stone hearth, open plan to the kitchen diner. Patio double glazed door to the garden. Double glazed uPVC window facing the rear. Radiator, tiled flooring, under stair storage. Wood work surface, base units, one and a half bowl sink with mixer tap and drainer, integrated electric oven, microwave oven, integrated gas hob, over hob extractor, integrated slimline dishwasher and door to the lobby. UPVC double glazed doors, opening onto the garden and to the front. Radiator, tiled flooring, doors to the utility and the cloakroom. Double glazed uPVC window with opaque glass facing the front. Radiator, tiled flooring. Wood work surface, base units, space for washing machine. Double glazed uPVC window with opaque glass facing the side. Radiator, tiled flooring, tiled splashbacks. Low level WC, pedestal sink. Double glazed uPVC window with opaque glass facing the side. Loft access and doors to both bedrooms and shower room. Double glazed uPVC window with patterned glass facing the rear. Heated towel rail, tiled flooring, part tiled walls, recessed lighting. Low level WC, double enclosure shower, pedestal sink. To the front there is a garden and block paved driveway providing off street parking. To the rear there is an enclosed garden with paved patio, wood store, lawn garden with raised beds.